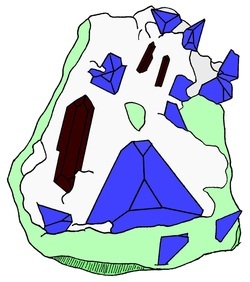 Benitoite became California’s official state gemstone in 1984. This unique mineral, which is often cut into beautiful blue gems, was first discovered in San Benito County. It has not been found anywhere else in the world.